By now you know that the guys of 111 Squadron were involved in something quite extraordinary: they defended our Country’s western boundaries. The duty was very difficult and the mission was probably hard for many to understand. History has not been able to help us understand what our enemy was up to in the Western Pacific. They had probably over-played their hand. But Canada didn’t know that for sure at the time. We reacted… successfully. Eventually, Canadians were able to put our whole attention to the threat that was growing in Central Europe. And, eventually, that was handled very well, too. This note is to say thank you. You have contributed to something that will mark how our countrymen have risen to the cause. 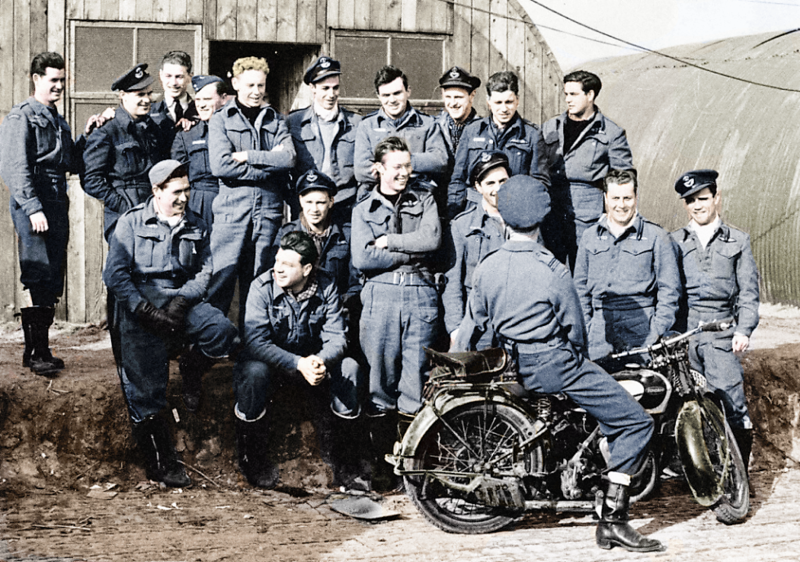 The guys of 111 Squadron were heroes. And you are related to or know about them. Congratulations! They were probably just ordinary guys that felt the call and did what was asked of them. In retrospect, that is what is inspirational. Thank you for helping this site to salute them. I hope that 2015 was a productive and fulfilling time for you. May 2016 bring good things to you and your family. A clearer picture courtesy of Flying for Your Life Website. But there is more courtesy of Richard Walker, a friend of the Walker family. This is Lynn’s website. It’s all about the Me 109. Pay him a little visit. About Me 109s, I had written a series of articles about one Me 109 pilot shot down over Kent in 1940. Click here for the first article. Rene Mouchotte had defied orders to escape from France and join the Free French in Britain in 1940. He was now a Squadron Leader in command of No. 65 Squadron, the first foreign national to command an RAF Squadron. On the 24th December they had begun practice for landing on aircraft carriers – taking off and landing from a marked out runway. Then they moved to a Royal Navy Fleet Air Arm station at Arbroath for training at sea, on HMS Argus. Mouchotte was impressed with the Royal Navy. ‘What a difference after the RAF. Cleanliness, discipline, mess like a grand hotel, trained waiters, very good food, comfort etc.’. On 21 March 1943 No. 341 Squadron RAF, also known as the Groupe de Chasse n° 3/2 “Alsace” arrived at Biggin Hill, one of the front line fighter stations in the south east of England. It was composed of members of the Free French forces fighting alongside the Allies, under Squadron Leader Mouchotte. They were now equipped with Supermarine Spitfire L.F Mk.IXs, one of the most refined versions of the fighter aircraft. From here they mounted sweep patrols over the English Channel, probing the German defences of occupied Europe. 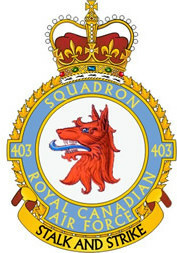 When I started writing this blog in September 2011, I knew very little about 403 Squadron. The more I wrote the more I found. The more I found, more people found this blog, and I found a whole lot more. This post is post No. 412 since September 2011. I guess I will never stop writing, but I don’t mind that. I like writing about planes and things, and people I know nothing about. 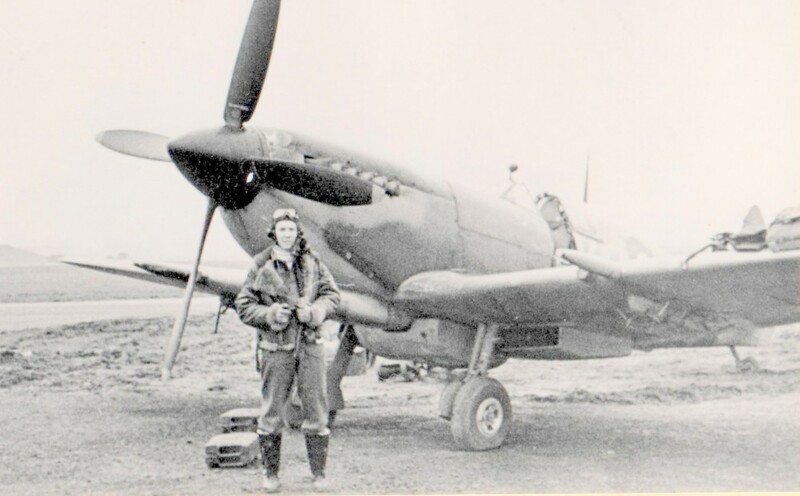 This is about a wonderful Website (the link is below the Spitfire Mk XVI picture) which is about planes, pilots, heroes and unsung heroes like Walter Neil Dove and his grandson Greg. This is Greg’s grandfather who survived the war so his grandson could meet me in September 2011 for about one hour. One hour was enough to decide to create this blog. As I like to say Greg scans like hell and I write likewise. Click here to visit a Website paying homage to him as well as pilots who were first with 111 Squadron.